St Anton am Arlberg is a holiday region with a world-wide reputation, and rightfully so. 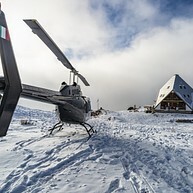 A superlative winter sports area with excellent guest services, ferris wheel cable car, the ARLBERG-well.com wellness centre, the finest gourmet cuisine, an excellent walking area, the multi-functional sports centre arl.rock and numerous events which all contribute towards an unforgettable vacation. With guaranteed snow from the end of November to the end of April, 84 lifts, access to 280 kilometres (174 miles) of marked ski runs and 180 kilometres (112 miles) of off-piste possibilities as well as a Funpark, St Anton am Arlberg delivers the very best conditions for a de luxe winter vacation. Opening hours: Shops are generally open from 08.00 to 12.00 and from 14.00 to 18.00. 08.00-18.00 Mon-Fri / 09.00-18.00 Sat / 09.00-12.00 and 14.00-17.00 Sundays and public holidays. Numerous other sports facilities, an ultra-modern wellness centre and a climbing and sports-centre in the heart of the town, and events like the “Spring Festival” or the legendary “White Rush” demonstrate the dynamic and openhearted spirit of St. Anton – not the least of which is its colourful night life, which is one of the greatly- appreciated facets of this pulsating but equally romantic town in the foot of the Arlberg. 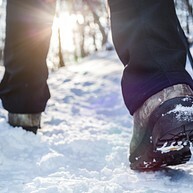 The Winter Hiking Trails consists of approximately 70 kilometres of prepared trails. The trails are partly on the cross country trail map, available at the Information Office in St. Anton am Arlberg, Pettneu and Flirsch. ARLBERG-well.com is the perfect place for recreation. Here you can enjoy Finnish sauna, steam bath, kelo sauna, massage, solarium, indoor-pool, outdoor-sports-pool and children´s basin, gym, ice-skating rink and curling lanes. 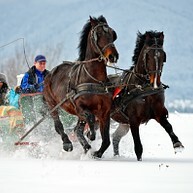 Through the Verwall Valley, the tranquil setting of the Verwall valley is perfect for taking a leisurely sleigh ride. An excellent way for non-skiers to take in the sights and skiers to have a break from the slopes. 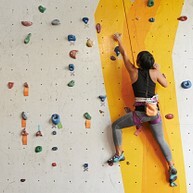 In the multi-functional sport and climbing centre, Arl.rock, numerous indoor activities are possible such as tennis, indoor football, volleyball, squash and bowling. The large climbing facility is the highlight of Arl.rock. At the Museum St. Anton am Arlberg you can find out more about the history of alpine skiing and the Arlberg region. This is an interesting and multi-visional museum. Here you can enjoy the Finnish sauna, Bio sauna, steam-bath, aromatic steam-bath, recreate in the crash-ice-cave, tub-shower, relax in cold and warm recreation and resting rooms. The modern indoor swimming area includes the main pool with 350 m² of water surface and a children’s pool. Flight Connection Arlberg offers paragliding and tandem paragliding try-it-out courses. Of course, all lessons are given by nationally certified flight instructors. 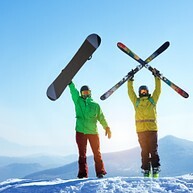 Arlberg boasts 340 kilometres of marked ski runs, superbly prepared slopes for all ability levels, and 200 km of off-piste and challenging steep slopes and deep-snow ski runs, snowboard fun parks as well as carving areas. If you are a competent off piste skier, you should not miss this opportunity. Try out heliskiing. This experience will be the peak of your vacation. The company that offers this adventure is located in Innsbruck.